Is this the year that your child will be learning to read and write in Spanish? If so, you'll love Lectura para niños! Our sponsor is sharing their first freebie of the year with us today. It is a sample of her excellent Homework Book for Beginning Sounds and is a valuable resource for students in a dual immersion environment. Whether you homeschool or are supplementing your child's public/private school education, the materials from Lectura para niños are a must-have for Spanish-speaking children. 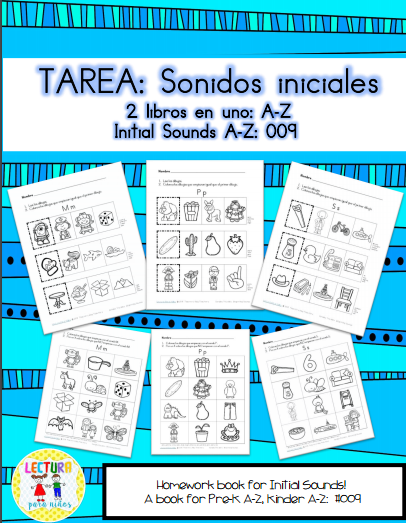 Today's freebie is a sample of her Sonidos iniciales file. Your child will have a blast with this one!